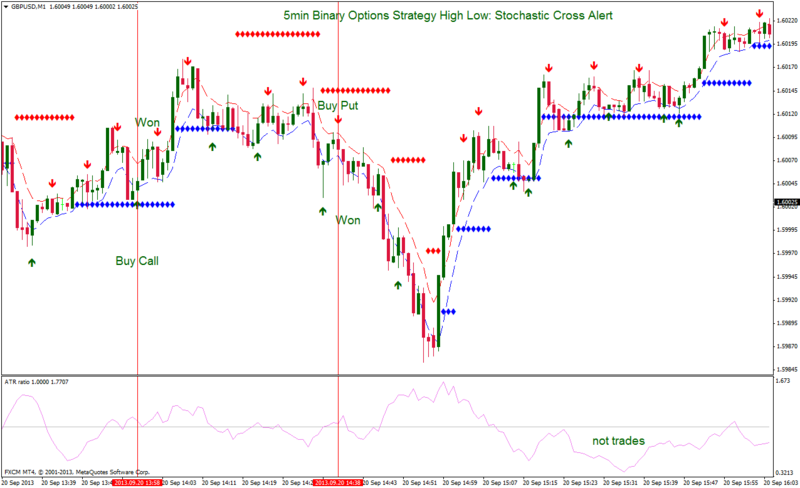 This 5 min Binary Options Strategy High/Low is a price action strategy based on Stochastic cross alert filterd by ATR Ratio with trigger 1.0. Time Frame 1min: Expires Time 5 min. ATR Ratio indicator (7, 49, trigger 1.0). Trade only in trend. The trend is determined by Brian Trend Indicator. 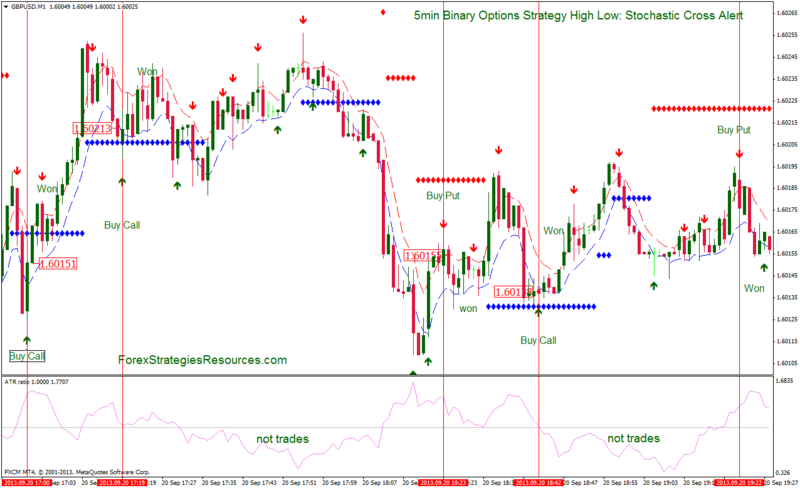 If these conditions are agreed, when you see the blue arrow, buy a Options Binary call only if the price of the candle alert is into the price action channel . only if the price of the candle alert is into the price action channel. 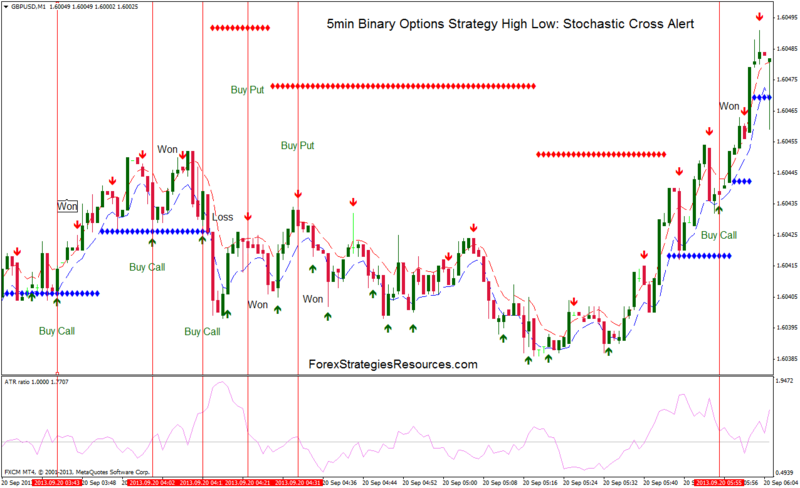 Share your opinion, can help everyone to understand the 5 min Binary Options High/Low: Stochastic Cross alert. strategy seems good. but i couldn't find the brain trend indicator. the indicators on the given linked page is different. if you may share the shown indicator plz. Can you add a sound alert? que ratio de victorias tiene? What is the winning percentage? How to put this into MT4? Help please.